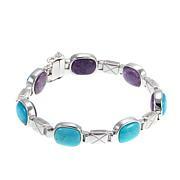 For a better bangle experience, just open and close! 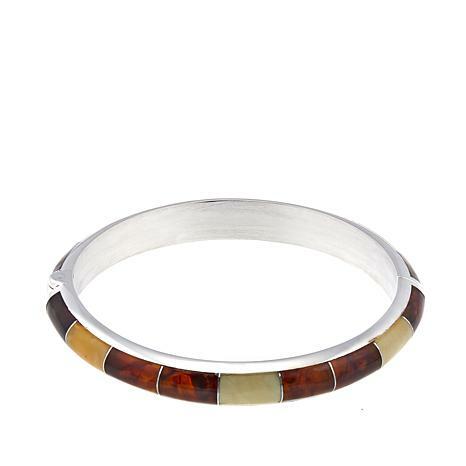 As beautiful as it is functional, this hinged bracelet features three shades of amber from Lithuania and Ukraine inlaid in a simple, segmented design. Plus, a strong magnetic closure makes accessorizing a snap. I haven't worn it yet but it really is beautiful and easy to put on. Very classic looking. Love this bracelet, I purchased a second one to wear together. 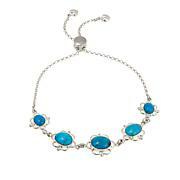 Beautiful turquoise colors, very well made. 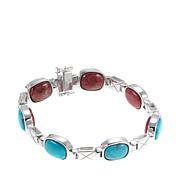 I recommend this bracelet! 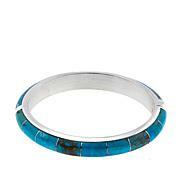 I love everything about this bangle bracelet. Could not pick between the amber and the turquoise, so ordered both to decide later, but can't part with either one. Got the M/L in one, b/c small was gone and small in the other, but both fit fine. Colors are varied, mixed in both, which make them more interesting. Love them!